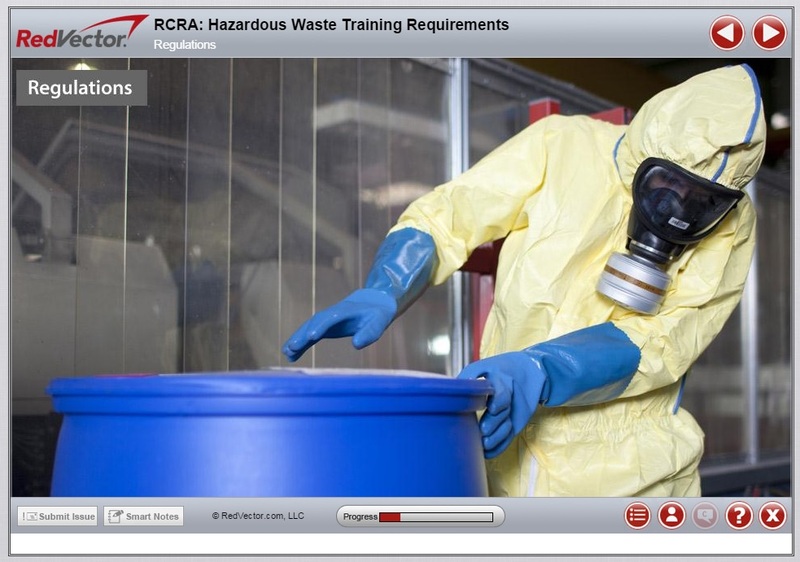 The newest addition to our industrial eLearning course library – Resource Conservation Recovery Act (RCRA): Hazardous Waste Training Requirements – will give students insight into the critical need for the protection of the environment as well as maintaining EPA compliance within industrial facilities. By the end of the course, students will be able to describe and list RCRA regulations and their applicability to different situations, identify the RCRA hazardous waste codes, list the EPA hazardous waste generator rules, and describe and identify the RCRA training requirements. This hour-long mobile-ready RedVector course is taught by Jon Wallace, a certified Safety Professional with over two decades of experience. 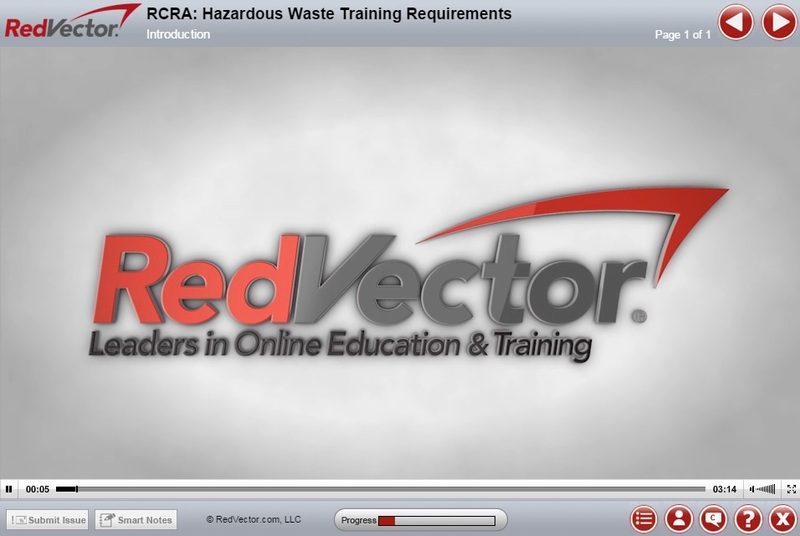 RedVector provides industry-leading eLearning for professionals and businesses. RedVector’s online training is designed to improve performance, sharpen your skills, prepare you to work safely, keep you up to date with the latest regulatory standards, and help you maintain certifications (where applicable). Be on the lookout for other new and exciting RedVector eLearning courses that are launching soon! For more information about this or other RedVector courses, contact our client support department today.